This week, the pool of 30 players has been announced, and as only 12 players will be chosen to join the 2016 Olympic Team, betting odds have been released. 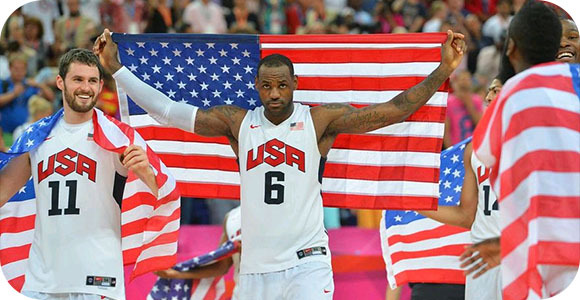 The Olympics are being held in Rio de Janeiro in Brazil, and the U.S. team is need of the best players they can get from the NBA. Take a look at the top candidates, along with their odds, and see if there is any you would put your money on. We can already tell who the favorites are to getting picked. With the most popular basketball players having the best odds of getting on the team, but there are 12 spots open, and they need different positions. If they take LeBron James and Kevin Durant, they may not need any more power forwards. The trick is to see which players are the most capable of filling the open positions, as those will most likely get picked. The coach may decide to take two or three players of each position, just as back-up. Betting on which player will get to play on the U.S. Olympic team may be tougher than expected.